I've seen it! 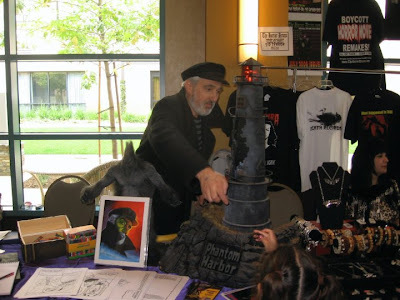 I've seen what The Captain has put together to give those of you who missed MONSTERPALOOZA 2010: a taste of what you can see if you attend one of these gatherings. Mind you, it is a taste. There is so much to see and do at Monsterpalooza and if you are a fan of monster makers, you won't find a larger collection of artists in attendance than this event. So with a little luck and a strong tail-wind, The Captain should have his report posted in the Messages section of The Captain's Quarters at phantomharbor.com very soon! 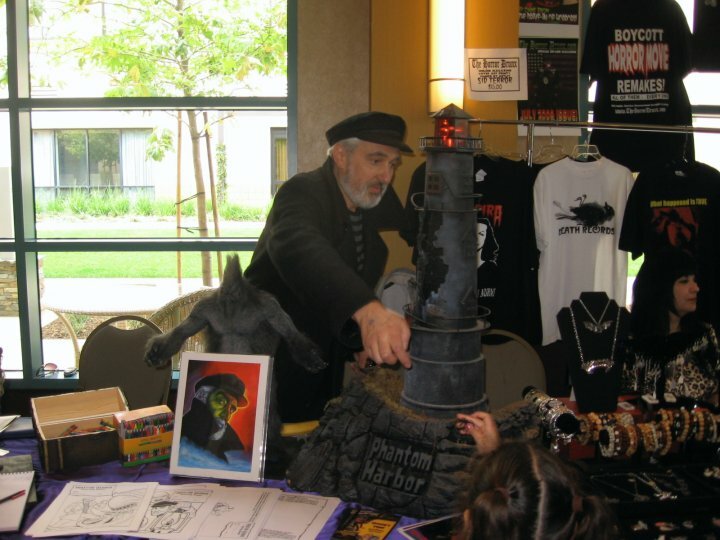 Sorry for the delay, and be prepared because there will be a MONSTERPALOOZA 2010 report soon, but first let us talk about BLOG PIRATES! After I post this, I'm sure I'll regret it, but I have to express my complete dissatisfaction with the opportunity that was offered me from godaddy.com to switch this blog from Google's blogger to wordpress.org. Now, I'm sure that wordpress.org is a great place to create and keep a blog. I've also been told it is the more "professional" place to host a blog, but if that is the case, you won't see me posting professional blogs any time soon. I went into my godaddy account, loaded the software and tried to create this fantastic blog I was promised. What I got was a bland looking foundation that it was my understanding that I would be able to customize to my tastes. Upon trying the Username and Password provided to me via e-mail I was unable to access the account. Upon entering the username and password I had chosen while setting up the account, that too, got me nothing. I wrote Wordpress and received very complicated instructions (most of which did not work btw) to try to force a password change to gain access. Not so good. What this means is that I am not going to attempt to set up my wordpress account and I'm staying HERE at BLOGGER! You know, I'm not a rabid blogger and I'm not followed by that many folks. The fantastic, rare individuals that actually READ this blog are getting the information as I'm writing it so why change now? This blog is linked in my web site so if someone REALLY wants to read what's up at Phantom Harbor behind the scenes, this is the place. 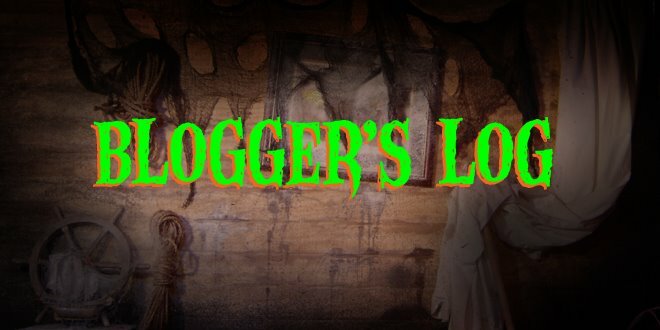 AND if The Captain decides he wants to write a blog account of his old adventures, he, too will begin a BLOGGER account and we'll figure out a way for you generous folks to read it. So we have repelled the blog pirates for now! Blogger we are here to stay! Work is Underway for the Next Episode! WOW! So I've tipped my hand about the fate of Geckoniki Island, but honestly what did you think? That's like saying that you're going to make a Western without any horses! Tropical Island locales DEMAND volcanoes! It's just that simple. So for those of you who love "Making Of" type stuff, let me explain: I shot a sort of a cloud tank shot for the plume of smoke. Now I've NEVER attempted something like this before in my life, so it was pretty exciting. I made a base for clear Tygon tubing that could be weighted at the bottom of an aquarium and hooked two syringes to the tubing with connectors. I used white paint that Alex Diaz and Carey Jones, of KNB, pumped for me while I filmed on my trusty Zi-6! All of this against a lit green screen. Next time, I would use milk instead of paint which was heavy. My guess is that milk, which contains fat, would float rather than sink making a more impressive cloud. What we got was really cool. Not perfect by any means, but really cool. The video here is a test. Once I have more elements to combine, it should be cooler. So, back to work. More puppets to make, miniatures to construct and art to generate.